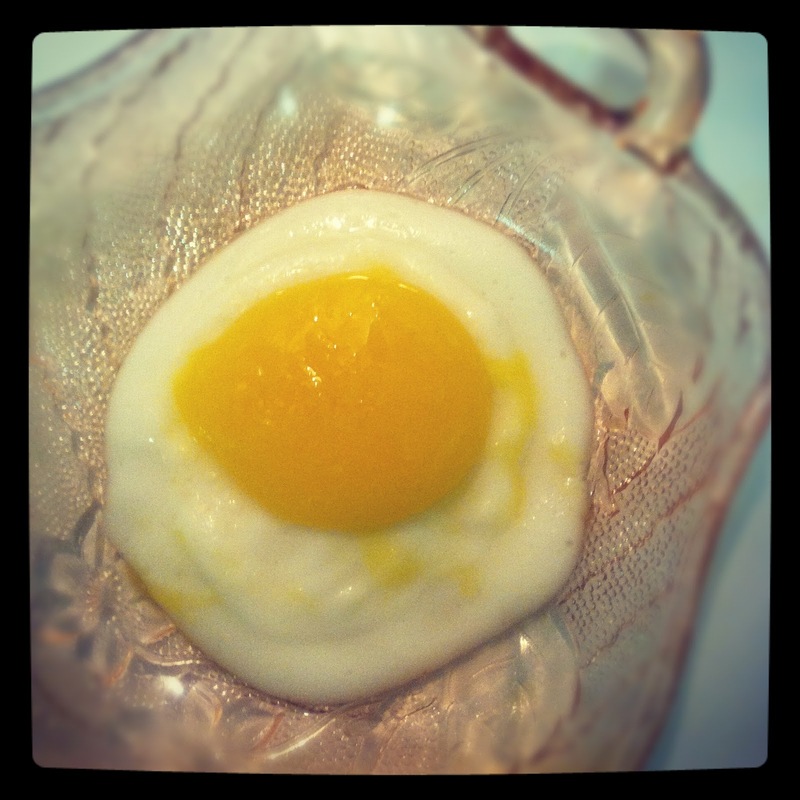 Today’s creation is a funny one to make – a mango yogurt display that looks just like an egg! I had a few issues making the “yolk” but overall, this one is pretty easy. As usual, mix 2 cups water and 1 packet alginate with your immersion blender, then place in the fridge at least fifteen minutes. Heat 1/2 cup milk with one packet of Agar Agar and bring to a boil. I burned my milk, which didn’t ruin anything, but did give it a slight toasted flavor. 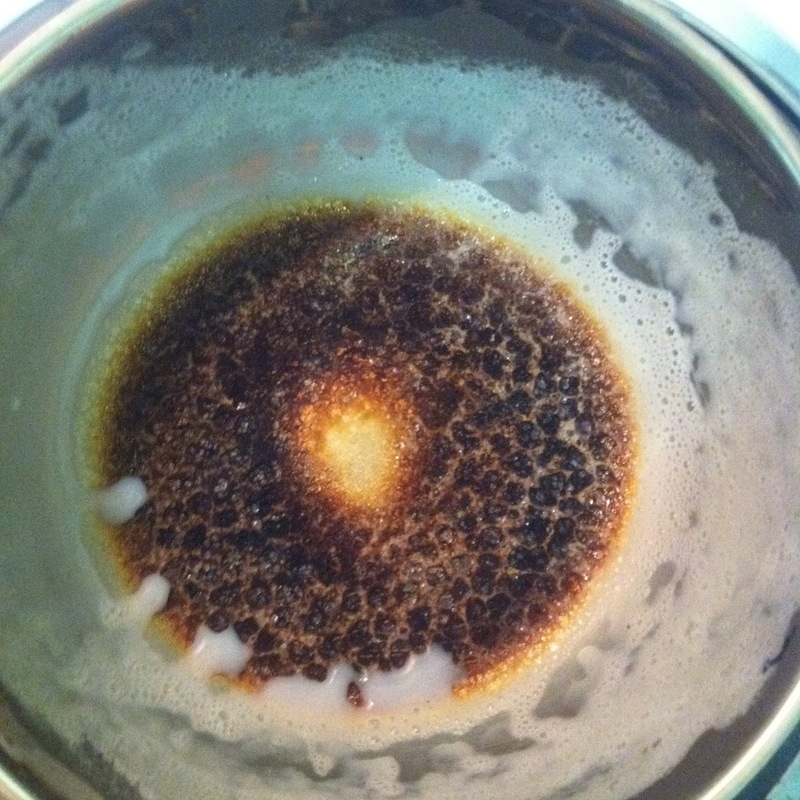 The milk never came to a very strong boil – I think you can consider it boiling when it has a thin layer of bubbles. 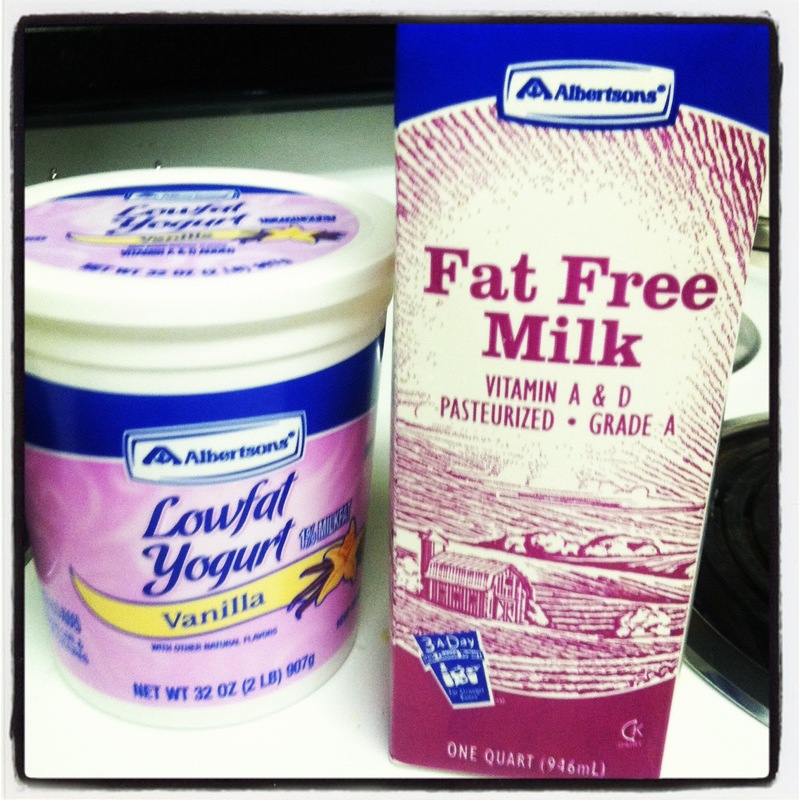 Immediately mix the milk into 2/3 cup of vanilla yogurt. Stir thoroughly and then pour a thin circular layer onto a plate. Wait five or ten seconds, then pour a slightly smaller circular layer over the original circle. *Do not wait too long to do this! I was messing around taking pictures and my yogurt mixture got significantly thicker in the minute or so between adding the milk and pouring. You want to pour it out asap for a smooth looking white. Then put the plate in the fridge for 15 minutes. 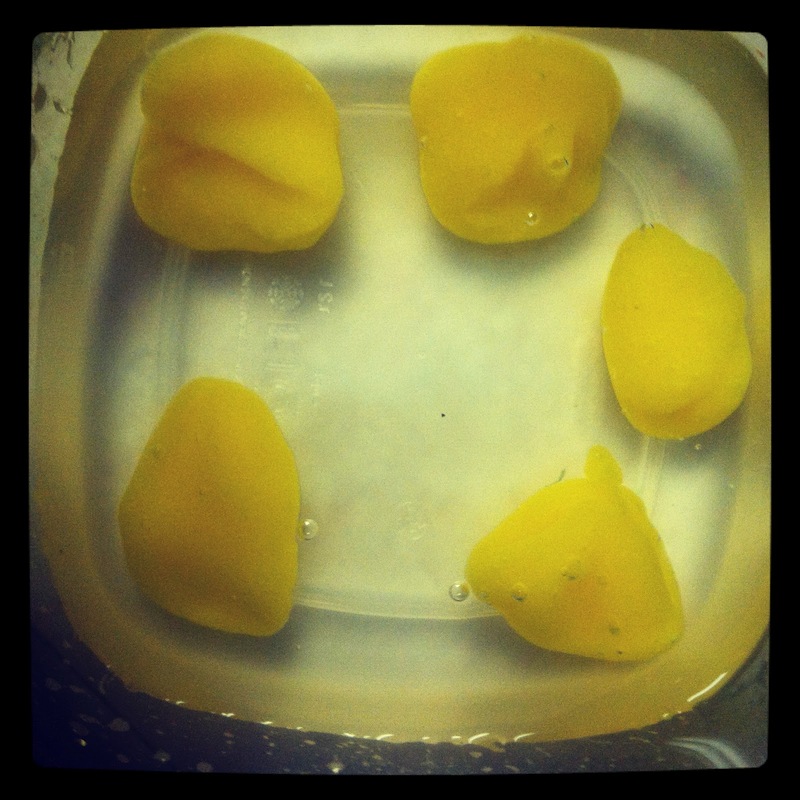 Dice up mangos – you need 1 and a quater cups of mango puree. This ended up being about a mango and a half. 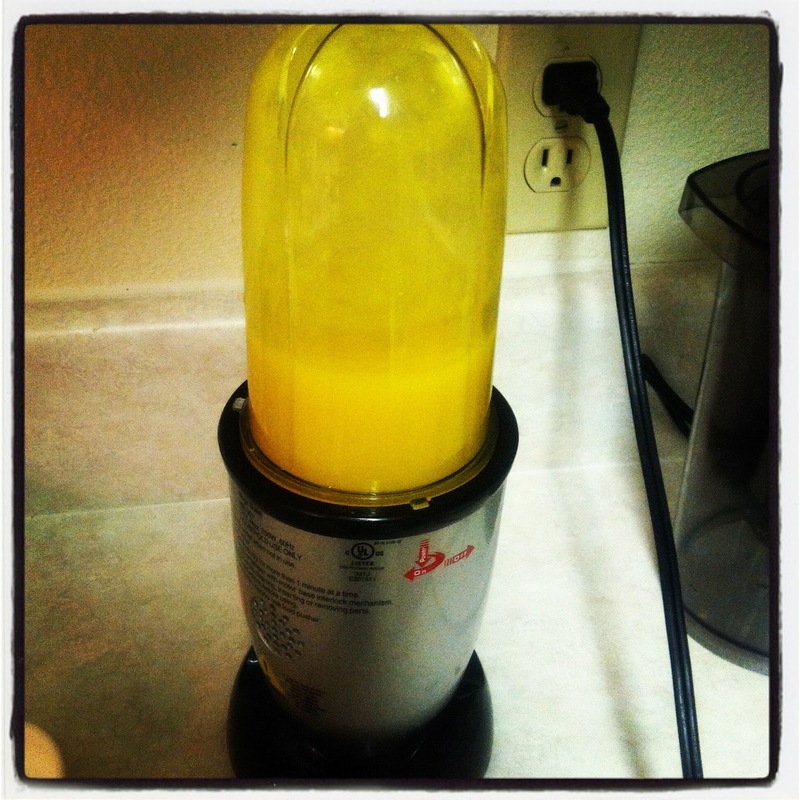 I pureed my mangos in my magic bullet, then measured the puree, then put the appropriate amount back in the blender. Then, add 2 tablespoons sugar and a half teaspoon calcium lactate. I would fudge and add a bit extra calcium lactate – my yolks weren’t as solid as I would have preferred. Using a tablespoon, drop the mango mixture into the alginate bath. Let sit at least 3 minutes (I would try 5) and stir occasionally. Then, pick up the yolks using the tablespoon (mine kept breaking with the slotted spoon) and transfer to a rinsing bath of water. 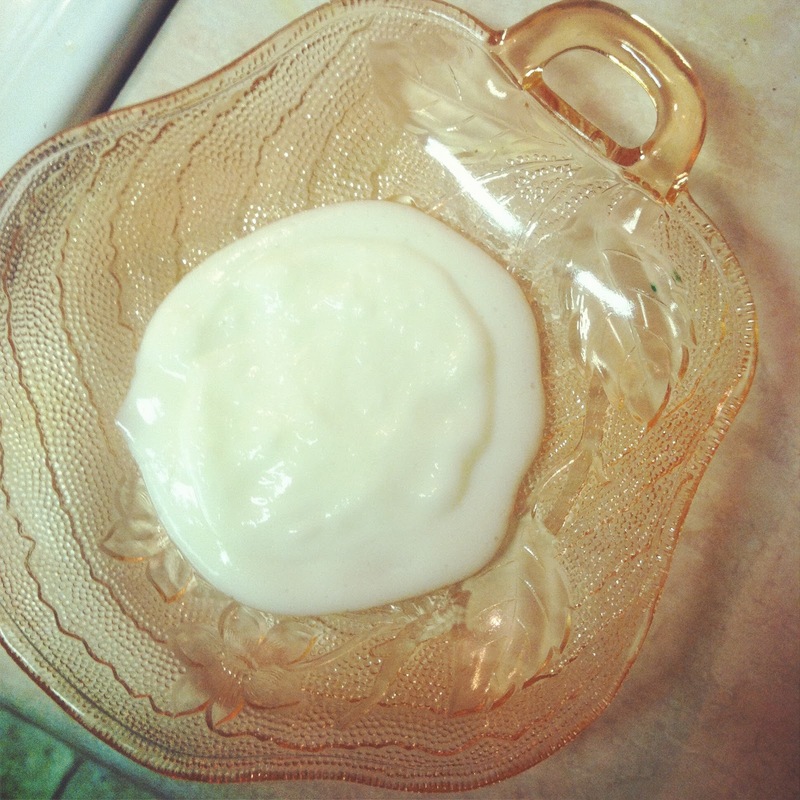 Take your plate out of the fridge and plate the yolks on top of the yogurt whites. The whites have a texture that feels almost exactly like a real egg white and the yolks look just like real egg yolks. I had a tiny bit of trouble getting my yolks to hold their shape when out of the water, but I think a bit of extra calcium lactate and some extra time in the bath would remedy that. I am loving all of your projects. Definitely have some of these things on my to-do list! Very inspiring!